IDEAL air purifiers free indoor air of all contaminants. 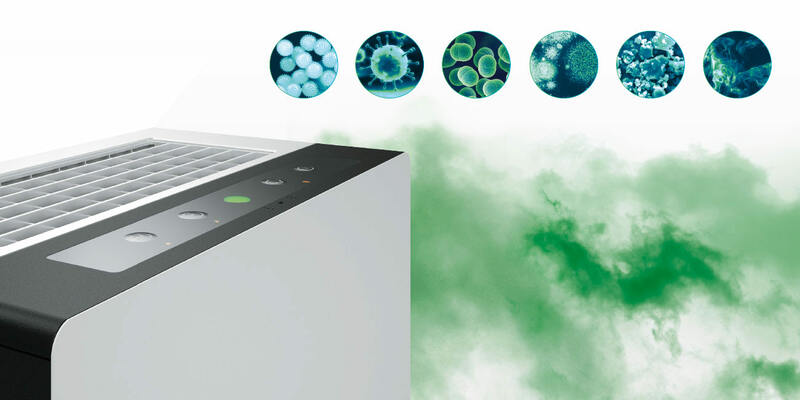 Poor air quality in your office? High-quality air in the office is often scarce. Especially now, when it’s damp and cold outside, we like having it warm and cosy inside. To ensure comfortable room temperatures, heaters or furnaces are running at full power. However, the quality of the air we breathe in offices and at home is often forgotten. The most varied impurities in the air as well as an air quality that is too low do not just restrict well-being, but also have a negative impact on our health and can even make us sick. In particular our respiratory tract, mucous membranes and our skin become irritated. This way, bacteria, viruses, allergens as well as other germs and other pathogens can easily attack our organism. Particularly during the autumn and winter months, this leads to an increased risk of colds, infections as well as allergic respiratory diseases. This is where you can use IDEAL air purifiers/washers. They free indoor air of all contaminants. So that you can breathe easily again. We have the perfect product solution for combating all of these problems. We would like to call your attention to our new high-performance air purifier IDEAL AP80 Pro, which fascinates due to its excellent air flow and cleaning performance. We are now offering a new indoor air guide entitled “My air. My life.” This brochure is available in a handy DIN A6 format and provides 40 pages of explanation as to why healthy air plays such a vital role to our health. Based on testimonials, well-researched data and information, as well as informative charts, the topic of “healthy air” is illuminated from the most diverse angles.